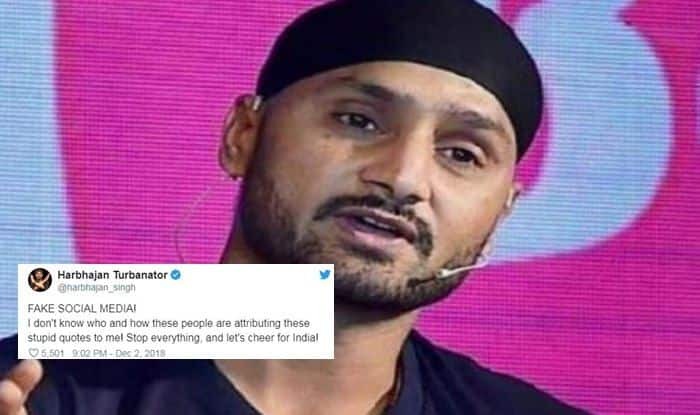 India vs Australia 1st Test: Former India spinner Harbhajan Singh always comes front when it comes to supporting the Indian players. Meanwhile, after Prithvi Shaw picked up an ankle injury, there has been a raging debate about who should open the batting for India. Sanjay Bangar also made a statement where he said one spot is up for grabs. There are three openers India have excluding Prithvi Shaw, and they are Murali Vijay, who has just hit a hundred in the tour game against Cricket Australia XI. KL Rahul and Rohit Sharma are the other openers. Now, with KL Rahul not in good form, chances of Rohit opening the innings increase as he is in red-hot form in limited overs cricket and was selected on the basis of that. Rohit has never opened in the past in Tests and with Hanuma Vihari at the No 6 position, it seems he could be considered for the opening slot. It is a four-match Test series and the first Test starts on December 6 at Adelaide.